After posting Part Two on water vapor, some people were unhappy that questions from Part One were not addressed. I have re-read through the many comments and questions and attempt to answer them here. I ignore the questions unrelated to the feedbacks of water vapor and clouds – like the many questions about the moon, answered in Lunar Madness and Physics Basics. I also ignore the personal attacks from a commenter that my article(s) was/were deceptive. The major point from the perspective of a few commenters (including critics of Part Two) was about the radiometric definition of the “greenhouse” effect. where F is outgoing longwave radiation (OLR) at top of atmosphere (TOA), T is surface temperature, and G is the “greenhouse” effect. For newcomers, F averages around 240 W/m² (and higher in clear sky conditions). The first term on the right, σT4, is the Stefan-Boltzmann equation which calculates radiation from a surface from its temperature, e.g., for a 288K surface (15°C) the surface radiation = 390 W/m². If the atmosphere had no radiative absorbers (no “greenhouse” effect) then F= σT4, which means G=0. See The Hoover Incident. 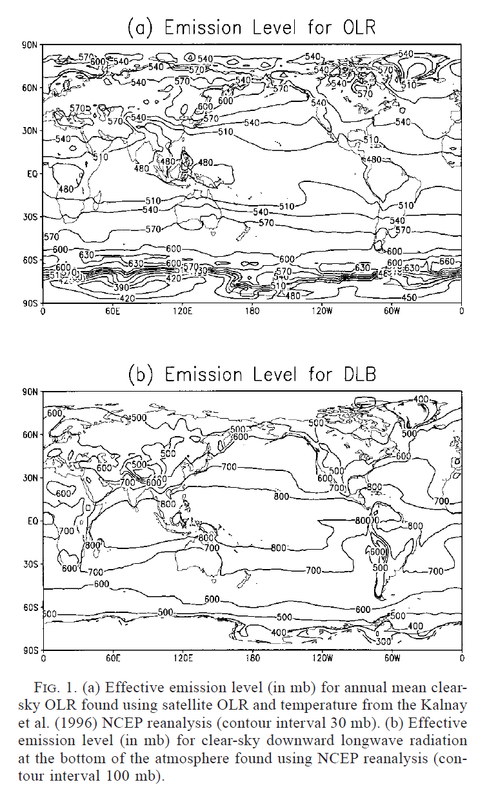 The approach Ramanathan took was to find out the actual climate response over 1988-89 from ERBE scanner data. What happens to the parameters F and G when temperature increases? If increasing CO2 warms the planet, will there be positive, negative or no feedback from water vapor? Apparently, Ramanathan thought that analyzing the terms in the equation under changing conditions could shed some light on the subject. I didn’t understand what this equation was trying to say. How are the Surface Radiation and the Outgoing Long Range Radiation linked, noting that there are other fluxes from the Surface into the Atmosphere? And one of these (evaporation) is stronger than the NET Surface radiation, while direct Conduction is also a significant flux? The sentence “So the radiation from the earth’s surface less the “greenhouse” effect is the amount of radiation that escapes to space.” is not accurate. So G doesn’t appear to me to make much PHYSICAL sense, and is certainly NOT the “Greenhouse Effect”, as the evaporative and conductive species are not greenhouse animals, but B and A certainly belong in the zoo.. ..I have shown that both those claims are incorrect. G does not represent the “Greenhouse” effect of an IR active atmosphere, as it contains terms (Evaporation and Conduction) which are plainly IR insensitive, nor does it represent the upward surface flux less the amount of longwave radiation leaving the planet. What G represents is anyone’s guess, but it is not an easily identifiable physical quantity. Hence my problem with the equation F=S-G as a starting point for any analysis – it doesn’t seem to represent anything coherent. Why not start with the TOA balance, the Surface balance, or the Atmospheric balance? I am concerned about this. Is the whole theorem of climate sensitivity based on the incorrect notion that the factor G represents the Greenhouse Effect? In this post I summarise some of my concerns. 1. F= Sunlight – Reflected sunlight. Unless the earth’s short-wave albedo changes, the Outgoing Long-Wave Radiation(F) is constant, whatever the state of the Greenhouse. So dF/dTs does not represent the Greenhouse Effect, but is a representation of the change of surface temperature with cloudiness. 2. F= S(urface Radiation) + G, but G= E(vaporation) +C(onduction) + A(bsorbed Solar Radiation) – B(ack Radiation). Of these terms, only A and B are Greenhouse dependent. C and E are Greenhouse independent. dG/dTs is therefore not a measure of the Greenhouse Effect. 3. It is unclear if the amount of radiation from the surface escaping “through the window” direct to space is constant. If CO2 concentration increases we expect some tightening of the window, but not much. On the other hand any increase in surface temperature will increase the amount of radiation, so the two processes may balance. Kiehl and Trenberth keep this constant at 40W/m^2 despite raising the surface temperature over time by 1DegC, suggesting that it may be close to constant. decrease in Net Surface Radiation Absorbed by the Atmosphere. As the heat entering the lower atmosphere is unchanged (though the amounts entering at each height will change), the overall Lapse Rate to the tropopause will be unchanged. So the temperature at the Tropopause will always be the Surface Temperature minus a Constant. The sensitivity of the Tropopause temperature is therefore the same as (and driven by) the sensitivity of the Surface temperature to changes in “forcing” (either solar or back-radiation). This sensitivity is between 0.095 and 0.15 DegC/W/m^2. And a search in that post will highlight all the other comments. My attempts at explaining the concept did not appear successful. I don’t think I will have any more success this time, but clearly others think it is important. What happens if the climate warms from CO2 (or solar or any other cause) – will water vapor in the climate increase, causing a larger “greenhouse” effect? That’s the question that many people have asked. These people include well-known figures like Richard Lindzen and Roy Spencer, who believe that negative feedbacks dominate. If the surface temperature in one location goes from 288K (15°C) to 289K (16°C) the surface radiation will increase by 5.4 W/m². (The Stefan-Boltzmann law). How can we determine whether positive or negative feedbacks exist? Condition 1. Suppose under clear skies when the temperature was 288K we measured OLR = 265 W/m² and when the temperature increased to 289K we measured OLR = 275 W/m². That means OLR has increased by 10 W/m² for a surface radiation increase of 5.4 W/m². Let’s call this condition Good. Condition 2. Suppose instead that when the temperature increased to 289K we measured OLR = 265W/m². That means OLR has not changed when surface radiation increased by 5.4 W/m². Let’s call this condition Bad. 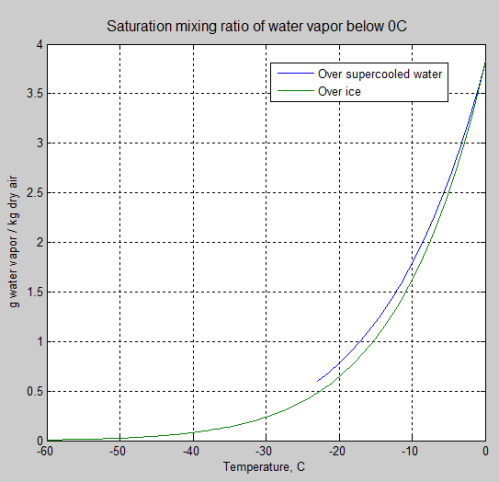 Whether or not more heat also leaves the surface by evaporation or conduction doesn’t really matter for this analysis. It doesn’t tell us what we need to know. In fact, it’s quite likely that if evaporation increases we might find that positive feedback exists. However, that depends on exactly where the water vapor ends up in the atmosphere (as the absorption of longwave radiation by water vapor is non-linear with height) and how this also changes the lapse rate (as the moist lapse rate is less than the dry lapse rate). It’s possible that if convective heat fluxes from the surface increase we might find that negative feedback exists – this is because heat moved from the surface to higher levels in the atmosphere increases the ability of the atmosphere to radiate out heat. This is also part of the lapse rate feedback. But all of these different effects are wrapped up in the ultimate question of how much heat leaves the top of atmosphere as a function of changes in the surface temperature. This is what feedback is about. So for feedback we really want to know – does the absorptance of the atmosphere increase as surface temperature increases? (see note 3). That’s as much as I can explain as to why this measure is the useful one for understanding feedback. This is why everyone that deals with the subject reviews the same fundamental equation. This includes those who believe that negative feedbacks dominate. See Note 2 and Note 3. Colin often makes very sensible statements and points but many of the statements and claims cited earlier suffer from irrelevance, inaccuracy or a lack of any proof. Missing the point – as I described above – was the main problem. In the interests of completeness we will consider some of his statements. ..Unless the earth’s short-wave albedo changes, the Outgoing Long-Wave Radiation(F) is constant, whatever the state of the Greenhouse. So dF/dTs does not represent the Greenhouse Effect.. In long term equilibrium energy in = energy out. However, we want to know what happens if something disturbs the system. For example, if increased CO2 reduces OLR then heat will be added to the climate system until eventually OLR rises to match the old value – but with a higher temperature in the climate. The same is the case with any other forcing. (See The Earth’s Energy Budget – Part Two). In fact we expect that for a particular location and time OLR won’t equal solar radiation absorbed. We also have the problem that any “out of equilibrium” signal we might try to measure at TOA is very small, and within the error bars of our measuring equipment. This is a very basic point. The surface radiation and outgoing longwave radiation (OLR) are linked by the equations of atmospheric absorption and emission (see note 4). With no absorption, OLR = surface radiation. The more the concentration of absorbers in the atmosphere the greater the difference between surface radiation and OLR. If we want to find out the feedback effect of water vapor this is exactly the relationship we need to study. Surface radiation and OLR are linked by the very effect we want to study. ..Hence my problem with the equation F=S-G as a starting point for any analysis – it doesn’t seem to represent anything coherent. Why not start with the TOA balance, the Surface balance, or the Atmospheric balance? How is it possible to extract positive or negative feedback from these? We expect that at TOA and at the surface the long term global annual average will balance to zero. But we can’t easily measure evaporation or sensible heat. Without carefully placed pyrgeometers we can’t measure DLR (downward longwave radiation) and without pyranometers we can’t measure the incident solar radiation at the surface. In any case even if we had all of these terms it doesn’t help us extract the sign or magnitude of the water vapor feedback. If we had lots of measurement capability at a particular location it might help us to estimate the evaporation. But then we have the problem of where does this water vapor end up? This is a problem that Richard Lindzen has frequently made – and is also made by Held & Soden in their review article (cited in Part Two). Approaching the problem (from the surface energy balance) without knowing the answer to where water vapor ends up we can’t attempt to calculate the sign of water vapor feedback. Colin also makes a number of other comments of dubious relevance in the last section of text I extracted. He states that evaporation and conduction are “greenhouse independent” – but I question this. More “greenhouse” gases mean more surface irradiation from the atmosphere, and therefore more evaporation and conduction (and convection). Basically when the surface temperature increases, the increase in Evaporation is balanced by a decrease in Net Surface Radiation Absorbed by the Atmosphere. When surface temperature increases, evaporation is not balanced by a decrease in net surface radiation absorbed by the atmosphere. In fact, when surface temperature increases, surface radiation increases and possible atmospheric absorption of this radiation increases (due to humidity increases from more evaporation). Exactly what change this brings in DLR (atmospheric radiation received by the surface) is a question to be answered. By saying everything is in balance means that the solution about positive feedback is already known. If so, this needs to be demonstrated – not claimed. The rest of the statement above suffers from the same problem. None of it has been demonstrated. If I understand it at all, it’s kind of a claim of climate equilibrium which therefore “proves” (?) that there isn’t water vapor feedback. However, I don’t really understand what it might demonstrate. Since the issue is not resolved that the temperature in the upper troposphere has increased, and the relative humidity has not stayed nearly constant (it has clearly decreased) over the period of greatest lower troposphere temperature increase, the argument seems less than resolved. The lack of increased water vapor in the stratosphere pushes that point even further. The argument isn’t resolved by this piece of work. This is one attempt to measure the effect over a period of good quality data. Finely, the data and analysis of Roy Spencer seems to lead to different conclusions even on the data interpretation. Can you point out his errors and respond to those issues? Roy Spencer’s analysis doesn’t address this period of measurement. His paper is about the period from 2000-2008. However, I take issue with your statement “It should be clear from these graphics that observed variations in the normalized “greenhouse” effect are largely due to changes in water vapor.” The spatial maps referred to merely indicate a correlation between these two things. It is unscientific to infer causation from correlation. Ramathan himself goes no further than to say the graphics suggest that variations in water vapour rather than lapse rates contribute to regional variations in the greenhouse effect. It’s unscientific to infer causation from correlation in the absence of a theory that links them together. It’s solidly established that water vapor absorbs longwave radiation from the surface, and it’s solidly established that CO2 and other “greenhouse” gases are well-mixed through the atmosphere, while water vapor is not. Therefore, there is a strong theoretical link. I think, in common with various other repondants, that changes in lapse rates and in the height of the tropopause are key issues in modelling the greenhouse effect, yet they seem rarely discussed. Ramanathan’s chapter does not really cover them. What makes you say they are rarely discussed? There are many papers discussing the different processes involved in modeling water vapor feedback. However, Ramanathan’s chapter is primarily about measurements. Of course he refers to the different aspects of feedback in the chapter. I want to give him a chance to reflect on whether he wants to defend the Ramanathan analysis in Part 1 or separate himself with dignity, which he can still do.. The primary question seemed to be the approach, and not the results, of Ramanathan. 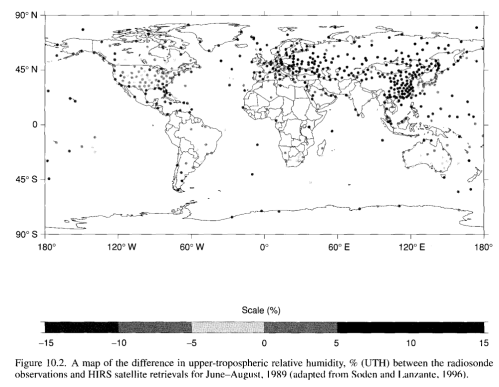 Ramanathan tested the changes in atmospheric absorptance of longwave radiation with temperature changes. To claim this is inherently wrong is a bold claim and one I can’t understand. Neither can Richard Lindzen or Roy Spencer, at least, not from anything I have read of their work. There are other possible approaches to Ramanathan’s results. Other researchers may have replicated his work and found different results. Other researchers may have analyzed different periods and found different changes. There are also theoretical considerations – whether changes in the equilibrium temperature as a result of increased CO2 can be considered as the same conditions under which seasonal changes indicated positive water vapor feedback. The question for readers to ask is: Did Ramanathan find something important that needs to be considered? However, our results do not necessarily confirm the positive feedback resulting from the fixed relative humidity models for global warming, for the present results are based on annual cycle. If I someone can point out the theoretical flaw in Ramanathan’s work then I might “separate myself with dignity” otherwise I will be happy to stand by the idea that he has demonstrated something that needs to be considered. 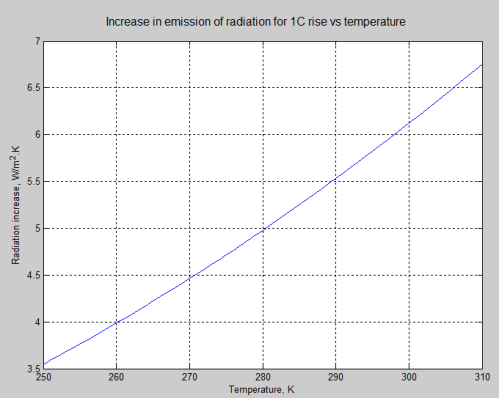 The actual change in emission of radiation for a 1°C rise in temperature depends on the temperature itself, one of the many non-linearities in science. The example in the article was for the specific temperature of 288K, along with the desire to avoid confusing readers with too many caveats. For the mathematicians it is an easy exercise. For non-mathematicians, the change in radiation = 4σT³ W/m².K (obtained by differentiating the Stefan-Boltzmann equation with respect to T). This article is about a specific point in Ramanathan’s work queried by some of my readers. His explanation of how to determine feedbacks is much more lengthy and includes some important points, especially the demonstration of the relationships in time between the various changes. These are important for the determination of cause and effect. See the original article and especially the online chapter for more a detailed explanation. The rate of change of surface radiation with temperature, σdT4/dT = 4σT³ W/m².K (see note 1) is 5.4W/m² per K at 288K. However, the rate of change of OLR, dF/dT, for the no feedback condition is slightly more challenging to determine and not intuitively obvious. Ramanathan, based on his earlier work from 1981, determined the “no feedback” condition (i.e., without lapse-rate feedback or water vapor feedback) was dF/dT=3.3 W/m².K. And for positive feedback this parameter, dF/dT would be less than 3.3. Roy Spencer and William Braswell in their just-published work in JGR, On the diagnosis of radiative feedback in the presence of unknown radiative forcing has exactly the same value as the determination of the no feedback condition. This is just to demonstrate that there is a strong mathematical link between surface radiation and OLR, and one that is very relevant for determining whether positive or negative feedbacks exist. In Part One we covered a lot of ground. In this next part we will take a look at some basics about water vapor. The response of water vapor to a warmer climate is at the heart of concerns about the effect of increasing the inappropriately-named “greenhouse” gases like CO2 and methane. Water vapor is actually the major “greenhouse” gas in the atmosphere. But unlike CO2, methane and NO2, there’s a huge potential supply of water vapor readily available to move into the atmosphere. And all it takes is a little extra heat to convert more of the oceans and waterways into water vapor. Before we dive into the subject, it’s worth touching on the subject of non-linearity – something that doesn’t just apply to the study of water vapor. Some people are readily able to appreciate the problem of non-linearity. For others it’s something quite vague. So before we’ve even started we’ll digress into slightly more familiar territory, just to give a little flavor to non-linearity. People who know all about this can just skip to the next section. For most people who haven’t studied a science or maths subject, it’s a natural assumption to assume that the world is quite a linear place. What am I talking about? 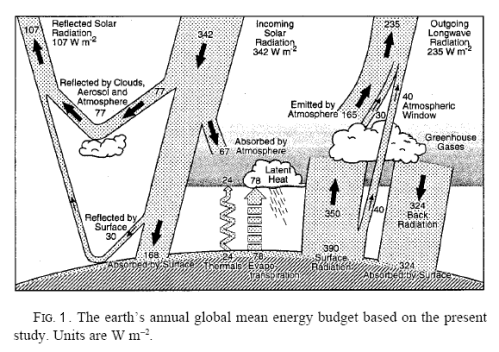 Here’s an example, familiar to regular readers of this blog and anyone who has tried to understand the basic concept of the “greenhouse” effect. If the atmosphere did not absorb or emit radiation the surface of the earth would radiate at an average of around 240 W/m² (see The Hoover Incident, CO2 – An Insignificant Trace Gas? and many other articles on this blog). This would mean a surface temperature of a chilly 255K (-18°C). With the “greenhouse” effect of a radiating atmosphere, the surface is around 288K (+15°C) and radiates 390 W/m². Clearly you haven’t done your sums right. If 240 W/m² means a temperature of 255K, then 390 W/m² means a temperature of (390/240)x255 which is way more than the actual temperature of 288K (15°C). Now that commenter spelt out the maths but many more people don’t even do that and yet feel instinctively that something is wrong when results can’t be simply added up, or fitted on a straight line. In the case of that approach, the actual temperature – assuming a linear relationship between radiation and temperature – would be 414K or 141°C. That approach is wrong. The world is not linear. 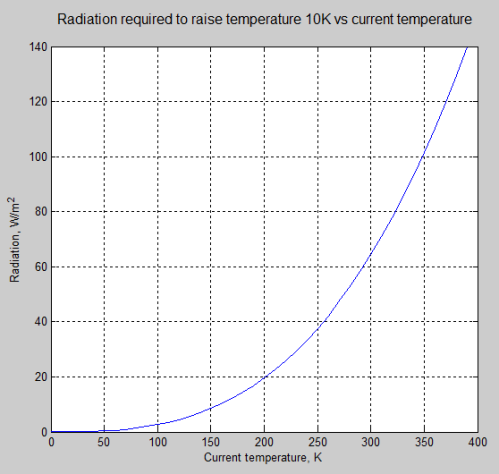 How much radiation does it take to raise the equilibrium surface temperature by 10°C (or 10K)? This assumes a simple energy balance where more radiation received heats up the surface until it radiates out the same amount. So if the surface is at 100K ( -173°C), it takes only 2.6 W/m² to lift the temperature by 10K (10°C). The equation that links radiation to temperature is the Stefan-Boltzmann equation, and the relationship is j=εσT4,where T is temperature. If the equation was something like j=kT, then it wouldn’t matter what the current temperature was – the same amount of energy would lift the temperature another 10K. For example, if it took 10 W/m² to lift the temperature from 100K to 110K, then it would take 10W/m² to lift the temperature from 300K to 310K. That would be a linear relationship. It’s important to try and unlearn the idea of linearity. Intuition isn’t a good guide for physics. At best you need a calculator or a graph. Let’s take a look at water vapor distribution in the real world (below). Both graphs below have latitude along the horizontal axis (x-axis) and pressure along the vertical axis (y-axis). 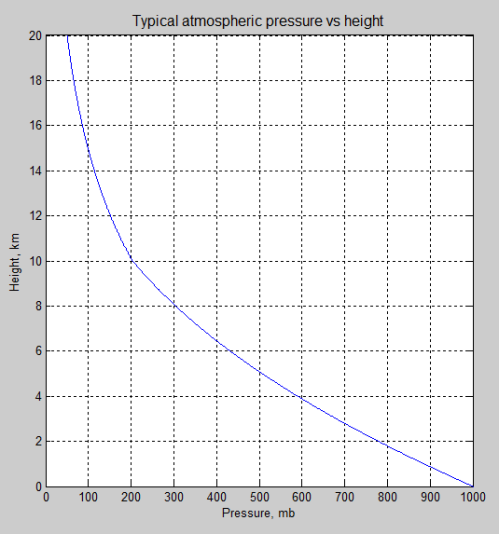 Pressure = 1000 (mbar) is sea level, and pressure = 200 is the top of the troposphere (lower atmosphere). The left side graph is specific humidity, or how much mass of water vapor exists in grams per kg of dry air. The right side graph is relative humidity, which will be explained. Both are annual averages. You can see that at 0°C the maximum mixing ratio of water vapor is 4 g/kg, while at 30°C it is 27 g/kg. Warmer air, as most people know, can carry much more water vapor than colder air. (Note that strictly speaking air can become supersaturated, with relative humidities above 100%. But in practice it’s a reasonable guide to assume the maximum at 100%). Relative humidity is the ratio of actual humidity to the saturation value. Saturation occurs when air is in equilibrium over a surface of water or ice. So air very close to water is usually close to saturation – unless it has just been blown in from colder temperatures. Let’s consider a parcel of air just over the surface of a tropical ocean where the sea surface temperature is 25°C. The relative humidity will be near to 100% and specific humidity will be close to 20 g/kg. The heating effect of the ocean causes convection and the parcel of air rises. As air rises it cools via adiabatic expansion (see the lengthy Convection, Venus, Thought Experiments and Tall Rooms Full of Gas – A Discussion). The cooler air can no longer hold so much water and it condenses out into clouds and precipitation. Eventually this parcel of air subsides back to ground. If the maximum height reached on the journey was more than a few km then the mixing ratio of the air will be a small fraction of its original value. When the subsiding air reaches the ground – much warmer once again due to adiabatic compression – its relative humidity will now be very low – as the holding capacity of this air is once again very high. Annual averages don’t quite portray the journey of one little parcel of air, but the main features of the graph might make more sense. In a very broad sense air rises in the tropics and descends into the extra-tropics, which is why the air around 30°N and 30°S has a lower relative humidity than the air at the tropics or the higher latitudes. Why isn’t the air higher up in the tropics at 100% relative humidity? Because the air is not just made up of air rising, there is faster moving rising air, and a larger area of slowly subsiding air. 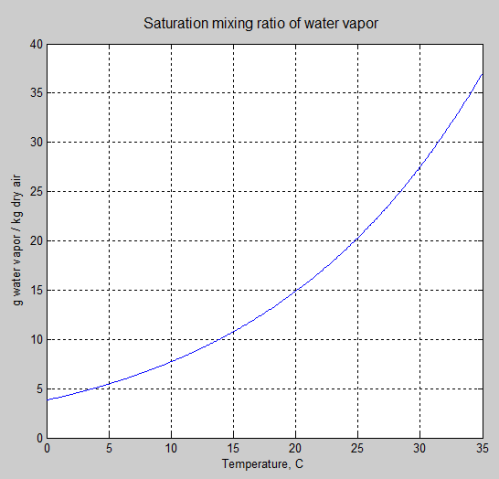 The ability of air to hold water vapor is a very non-linear function of temperature. Water vapor itself has very non-linear effects in the radiative balance in the atmosphere depending on its height and concentration. Upper tropospheric water vapor is especially important, despite the low absolute amount of water vapor in this region. Many many researchers have proposed different models for water vapor distribution and how it will change in a warmer world – we will have a look at some of them in subsequent articles. Measurement of water vapor distribution has mostly not been accurate enough to paint a full enough picture. Radiosondes (instruments in weather balloons) provide a twice-daily high resolution vertical profile (resolution of 100m) of temperature, pressure and water vapor. However, in many areas the coverage is low, e.g. over the oceans. Radiosondes provide the longest unbroken series of data – going back to the 1940’s. 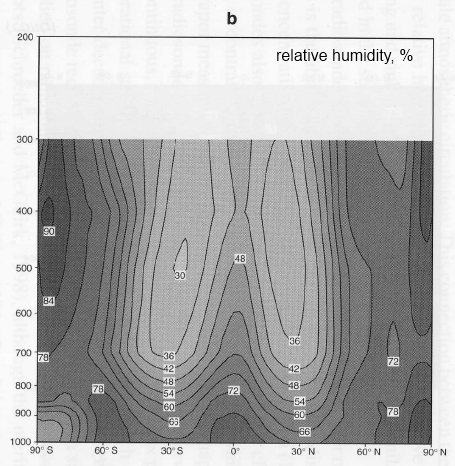 Measurements of humidity from radiosondes are problematic – often over-stating water vapor higher up in the troposphere. Many older sensors were not designed to measure the low levels of water vapor above 500hPa. As countries upgrade their sensors it appears to have introduced a spurious drying trend. 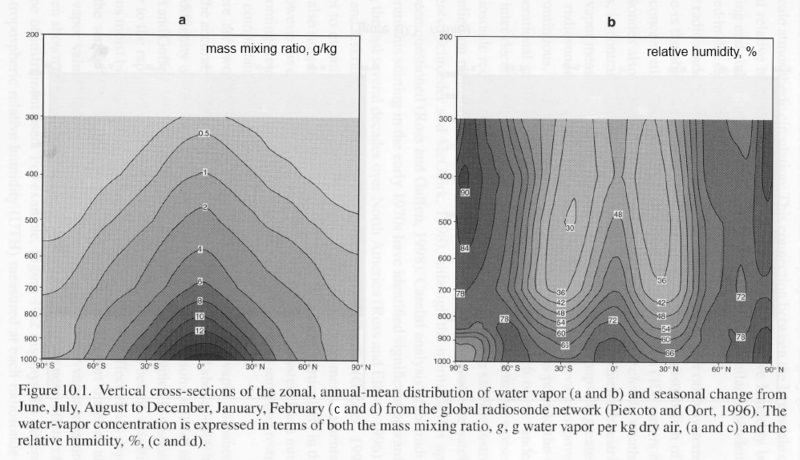 Comparison of measurements of water vapor between adjacent countries using different manufacturers of radiosonde sensors demonstrates that there are many measurement problems. Satellites provide excellent coverage but mostly lack the vertical resolution of water vapor. One method of measurement which gives the best vertical resolution (around 1km) is solar occultation or limb sounding. The satellite views the sun “sideways” through the atmosphere at a water vapor absorption wavelength like 0.94μm, and as the effective height changes the amount of water vapor can be calculated against height. This method also allows us to measure water vapor in the stratosphere (and in fact it’s best suited for measuring the stratosphere and the highest levels of the troposphere). There are many disadvantages of solar occultation measurement – large geographic footprint of measurement, knowledge of ozone distribution is required and measurements are limited to sunrise and sunset. The other methods involve looking down through the atmosphere – so they provide better horizontal resolution but worse vertical resolution. Water vapor absorbs and emits thermal radiation at wavelengths through the infrared spectrum. Different wavelengths with stronger or weaker absorption provide different “weighting” to the water vapor vertical distribution. Mostly these provide improvements, rather than revolutions, in accuracy and resolution. You can see – no surprise – that the relative humidity is highest around the clouds and reduces the further away you move from the clouds. Understanding water vapor is essential to understanding the climate system and what kind of feedback effect it might have. However, the subject is not simple, because unlike CO2, water vapor is “heterogeneous” – meaning that its concentration varies across the globe and vertically through the atmosphere. 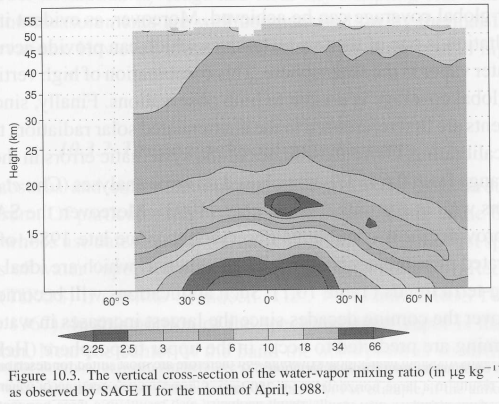 And the response of the climate system to water vapor is non-linear. Measurements of water vapor are not quite at the level of accuracy and resolution they need to be to confirm any models, but there are many recent advances in measurements. Without a firm grasp on the basics it can be hard to choose between a good and bad explanation. 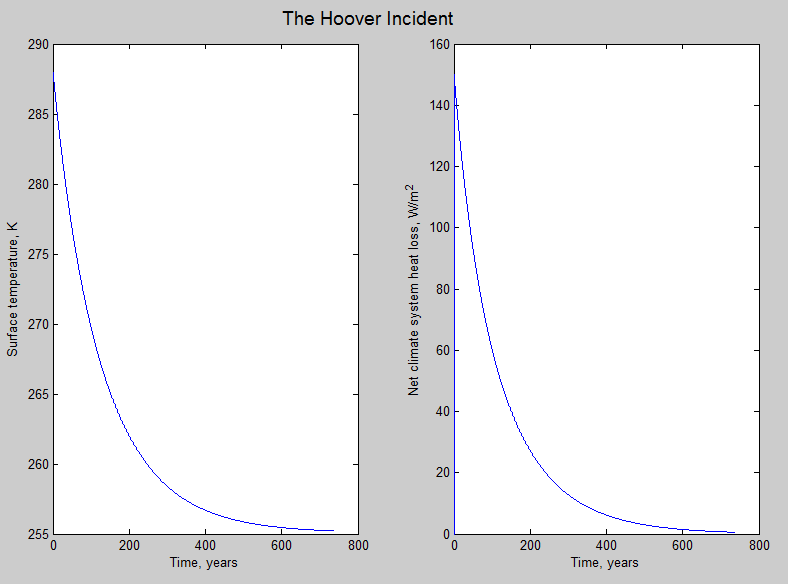 In The Hoover Incident I explained what would happen if the atmosphere didn’t absorb or emit radiation – i.e., if the radiatively active gases were “hoovered up”. Have a read of that post for a full explanation, but the essence of it is that with no atmospheric absorption or radiation the surface would be radiating around 390 W/m² into space while receiving only 240 W/m² from the sun. Therefore, the earth would cool down until it was only radiating 240 W/m² (it’s slightly more complicated) – leading to a surface temperature around -18°C (255K). And no matter what happens to convection, lapse rates, and rainfall this cooling will continue. That’s because these aspects of the climate only distribute the heat. Nothing can stop the radiation loss from the surface because the atmosphere is no longer absorbing radiation. They might enhance or reduce the cooling by changing the surface temperature in some way – because radiation emitted by the surface is a function of temperature (proportional to T4). But while energy out > energy in, the climate system would be cooling. Convection etc distributes the heat in ways that affect radiative heat transport from the surface. While the intensity of radiation is a function of temperature, radiative heat transport is a function of a temperature difference. No heat may be exchanged between regions with the same temperature. In an isothermal atmosphere there would be no temperature difference between it and the surface and therefore no heat loss from the surface. 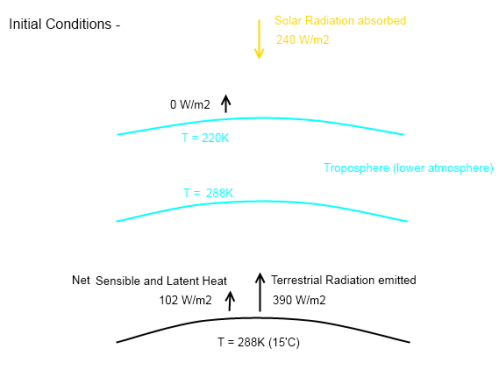 The accumulation of heat in a radiatively-constrained atmosphere by non-radiative means of heat transport from the surface would produce an isothermal atmosphere. Then, energy out = 0 and < energy in and the climate system would be heating. The comment is confused, so I thought it was worth explaining in some detail. This isn’t showing any heat transfer by conduction or convection, to keep the diagram simple. The blue area – the troposphere, or lower atmosphere – is shown with a gap between it and the earth’s surface. This is just to make heat transfer values clearer – there isn’t really a gap. Notice that no radiation is emitted by the atmosphere (because this is a thought experiment where radiatively-active gases have been “hoovered” up). Note as well that we are looking at averages in this diagram. The solar radiation absorbed in any one places is very rarely 240 W/m² – at night it is zero, and at midday in the tropics it is closer to 1000 W/m². If you want to understand why the average value of solar radiation absorbed is 240 W/m² take a look at Earth’s Energy Budget – Part One. Rather than thinking of this as the average, if it helps, simply think of this as the heat transfer for one location where these are the actual values. Emissivity is a value between 0 and 1, where 1 is a “blackbody” or perfect radiator. The surface of the earth has an emissivity very close to 1. See The Dull Case of Emissivity and Average Temperatures. Now regardless of any heat transfer by conduction or convection with the atmosphere, the surface of the earth will continue to radiate in accordance with that equation. With an emissivity of 1, a surface of 15°C (288K) radiates 390 W/m². Emission of thermal radiation is independent of any other heat transfer mechanisms and only depends on the temperature of the body and its emissivity. The only heat transfer mechanism in a vacuum is radiation and therefore heat can only be transferred into and out of the total climate system by radiation. In our thought experiment the atmosphere is unable to absorb or emit radiation. Therefore the solar energy absorbed at the surface minus the energy radiated from the surface of the earth gives the net heat transfer for the entire climate system. Now with the particular example above let’s add heat transfer between the surface and the atmosphere by conduction and convection. This is often termed sensible heat. Gases have a very low thermal conductivity, so most heat will be transferred by convection (bulk movement of air). This will also include latent heat, which is the heat used in evaporation of water from the surface of the earth. There is no simple formula for convection because it depends on many factors including the speed of the air movement. The formula for latent heat removal is also complex. So to get started we will use the average value derived by Kiehl and Trenberth in their well-known 1997 paper. Note that their calculation of latent heat was derived from the amount of rainfall (what comes down, must have been evaporated up in the first place). Note that the conduction and convection from the atmosphere into space = 0 W/m². And with conduction and convection it is conventional to show the net flow of heat – which is why there is no arrow with heat from the atmosphere to the surface. (With radiation, because heat is exchanged across distances it is more usual to show radiation emitted from each body). To calculate dynamic processes is more difficult, especially if we wanted to do it for all points on the earth. What everyone should be able to see is that the surface of the earth is losing heat. If we use the value from K&T for sensible and latent heat removal, we can see that net heat transfer from the surface of the earth at time = 0 is now 252 W/m². That is, a cooling of 252 W/m². Let’s consider the atmosphere. It is gaining heat from the surface of the earth, and not radiating it into space (or back to the surface), because in this post-Hoover world we have an atmosphere with no ability to emit radiation. Therefore, within a relatively short space of time, the heat transfer (averaged around the globe) between the surface of the earth and the atmosphere will drop to almost zero. If the atmosphere heats up and the earth’s surface cools down – the result has to be that this heat transfer reduces. But whatever happens to the temperature difference and heat transfer between the atmosphere and the earth’s surface – the radiation from the earth’s surface into space will still follow the Stefan-Boltzmann law and be proportional to T4. The only way this can change is if fundamental physics turns out to be wrong..
How fast will the earth’s surface cool down? This graph is calculated by assuming that the climate system’s heat is stored in an ocean 4km deep and a very high thermal conductivity of water (that is, the heat can flow from the depths of the ocean to the surface with almost no resistance). A more complete treatment takes account of the thermal conductivity of water. This value varies greatly depending on whether the water is still or well-mixed. In this right hand graph the lower curves are later times. The initial temperature profile against depth is a straight line from 288K at the surface to 273K at 4000m – this is my assumption, my initial conditions. 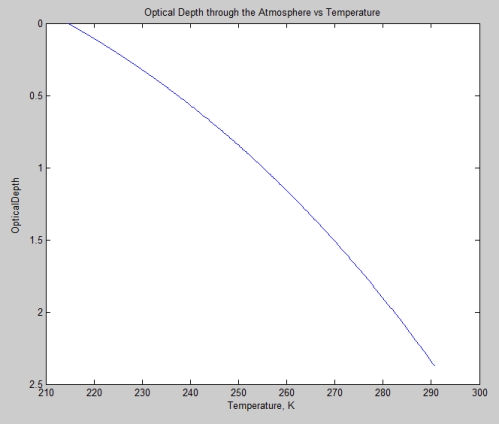 What you can see from this graph is that the surface is much better at radiating heat away than the ocean is at conducting heat from its depths to the surface. That’s why the temperature stays higher for longer lower down in the ocean. In this more thorough treatment the surface cools more quickly initially but will take much longer to reach the equilibrium of 255K. And of course, alert readers will have noticed that it all changes when the surface freezes as the heat conductivity through ice will be different, and the albedo of the earth will change.. In fact, the problem can be made more and more complex, but that doesn’t change the essential elements. Heat transfer by radiation is conceptually simple. A surface emits radiation with a well-known formula which depends on temperature of that surface (and its emissivity). The net heat transfer by radiation depends on how much radiation is incident on that surface from other bodies – whether near or far – and what proportion is absorbed. In the case of a planet with an atmosphere – if the atmosphere cannot absorb or emit radiation then the equilibrium condition for that climate system will be where the radiation emitted by the planetary surface equals the radiation absorbed by the planetary surface. During a discussion about Venus (Venusian Mysteries), Leonard Weinstein suggested a thought experiment that prompted a 2nd article of mine. Unfortunately, it really failed to address his point. In fact, it took me a long time to get to grips with Leonard’s point and 500 comments in (!) I suggested that we write a joint article. I also invited Arthur Smith who probably agrees mostly with me, but at times he was much clearer than I was. And I’m not sure we are totally in agreement either. I did offer Leonard the opportunity to have another contributor on his side, but he is happy to write alone – or draw on one of the other contributors in forming his article. The format here is quite open. The plan is for me to write the first section, and then Arthur to write his, followed by Leonard. The idea behind it is to crystallize our respective thoughts so that others can review them, rather than wading through 500+ comments. What was the original discussion about? Consider Venus with its existing atmosphere, and put a totally opaque enclosure (to incoming Solar radiation) around the entire planet at the average location of present outgoing long wave radiation. Use a surface with the same albedo as present Venus for the enclosure. What would happen to the planetary surface temperature over a reasonably long time? For this case, NO Solar incoming radiation reaches the surface. I contend that the surface temperature will be about the same as present..
Those who are interested in that debate can read the complete idea and the many comments that followed. During the course of our debate we each posed different thought experiments as a means to finding the flaws in the various ideas. At times we lost track of which experiment was being considered. Many times we didn’t quite understand the ideas that were posed by others. And therefore, before I start, it’s worth saying that I might still misrepresent one of the other points of view. But not intentionally. This first section is uncontroversial. It is simply aimed at helping those unfamiliar with terms like adiabatic expansion. Unfortunately, it will be brief with more Wikipedia links than usual.. (if there are many questions on these basics then I might write another article). Imagine pumping up a tire very very slowly. Usually this isn’t possible because the valve leaks. If it was possible you would find that the work done in compressing the gas didn’t increase the gas temperature because the heat increase in the gas would equalize out to the wheel rims and to the surrounding atmosphere. So the two examples above give the two extremes of compression. One, the isothermal case, has the temperature held constant because the process is very slow, and one, the adiabatic case, has the energy leaving the system being zero because the process is so fast. In a nutshell, high pressures do not, of themselves, cause high temperatures. But changing the pressure – i.e., compressing a gas – does increase the temperature if it is done quickly. Equally importantly, adiabatic expansion reduces the temperature in a gas. If you lift air up in the atmosphere quickly then it will expand and cool. In dry air, some simple maths calculates this expansion as a temperature drop of just under 10K per km. In very moist air, this temperature drop can be as low as 4K per km. (The actual value depends on the amount of moisture). Imagine the (common) situation where due to pressure effects a “parcel of air” is pushed upwards a small way, say 100m. Under adiabatic expansion, the temperature will drop somewhere between 1K (1°C) for dry air and 0.4K for very moist air. Suppose that the actual atmospheric temperature profile is such that the temperature 100m higher up is 1.5K cooler. (We would say that the environmental lapse rate was 15K/km). In this case, the parcel of air pushed up is now warmer than the surrounding air and, therefore, less dense – so it keeps rising. This is the major idea behind convection – if the environmental lapse rate is “more than” the adiabatic lapse rate then convection will redistribute heat. And if the environmental lapse rate is “less than” the lapse rate then the atmosphere tends to be stable against convection. Note – the terminology can be confusing for newcomers. Even though temperature decreases as you go up in the atmosphere the adiabatic lapse rate is written as a positive number. Just imagine that the temperature in the atmosphere actually decreases by 1K per km and think what happens if the adiabatic lapse rate is 10K per km – air that is lifted up will be much colder than the surrounding atmosphere and sink back down. Now imagine that the temperature decreases by 15K per km and think what happens if the adiabatic lapse rate is 10K per km – air that is lifted up will be much warmer than the surrounding atmosphere (so will expand and be less dense) and will keep rising. All of this so far described is uncontentious.. If you heat a gas sufficiently from the bottom, convection will naturally take place to redistribute heat. The environmental “lapse rate” can’t be sustained at more than the adiabatic lapse rate because convection will take over. This is the case with the earth, where most of the solar radiation is absorbed by the earth’s surface. But if you heat a gas from the top (as in the original proposed thought experiment) then there is no mechanism to create the adiabatic lapse rate. This is because there is no mechanism to create convection. So we can’t have an atmosphere where the environmental lapse rate is greater than the adiabatic lapse rate – but we can have one where it is less. Convection redistributes heat because of natural buoyancy, but convection can’t be induced to work the other way. Well, maybe it’s not quite as simple..
Leonard suggested – Take an empty room 1km square and 100km high and pour in gas at 250K from the top. The gas doesn’t absorb or emit any radiation. What happens? The gas is adiabatically compressed (due to higher pressure below) and the gas at the bottom ends up at a much higher temperature. Another way to think about adiabatic compression is that height (potential energy) is converted to speed (kinetic energy) because of gravity – like dropping a cannon ball. We all agree on that – but what happens afterwards? (And I think we were all assuming that a lid is placed over the top of the tall room and the lid effectively stays at a temperature of 250K due to external radiation – however, no precise definition of the temperature of the room’s walls and lid was made). My view – over a massively long time the temperature at the top and bottom will eventually reach the same value. This seemed to be the most contentious point. However, in saying that, there was a lot of discussion about exactly the state of the gas so at times I wondered whether it was fundamental thermodynamics up for discussion or not understanding each other’s thought experiments. In making this claim that the gas will become isothermal (all at the same temperature), I am assuming that the gas will eventually be stationary on a large scale (obviously the gas molecules move as their temperature is defined by their velocity). So all of the bulk movements of air have stopped. Conduction of heat is left as the only mechanism for movement of heat and as gas molecules collide with each other they will all eventually reach the same temperature – the average temperature of the gas. (Because external radiation to and from the lid and walls wasn’t defined this will affect what final average value is reached). Note that temperature of a gas is a bulk property, so a gas at one temperature has a distribution of velocities (the Maxwell-Boltzmann distribution). We all appeared to agree that in this case (radiatively-absorbing gases) that as the atmosphere becomes optically thin then radiation will move heat very effectively and the top part of the atmosphere in this very tall room will become isothermal. The viewpoint expressed by Leonard is that differential heating (night vs day, equatorial vs polar latitudes) will eventually cause large scale circulation, thus causing bulk movement of air down to the surface with the consequent adiabatic heating. This by itself will cause the environmental lapse rate to become very close to the adiabatic lapse rate. I see it as a possibility that I can’t (today) disprove, but Leonard’s hypothesis itself seems unproven. Is there enough energy to drive this circulation when an atmosphere is heated from the top? I found two considerations of this idea. One was the Sandstrom theorem which considered heating a fluid from the bottom vs heating it from the top. More comment in the earlier article. I guess you could say Sandstrom said no, although others have picked some holes in it. Descending air is compressed as it moves to lower levels in the atmosphere. The compression causes the temperature to increase.. If the circulation is sufficiently rapid, and if the air does not cool too fast by emission of radiation, the temperature will increase at the adiabatic rate. This is precisely what is observed on Venus. Venera and Mariner Venus spacecraft have all found that the temperature increases adiabatically as altitude decreases in the lower atmosphere. As we explained this observation could also be the result of thermal convection driven by solar radiation deposited at the ground, but we cannot be sure that the radiation actually reaches the ground. What we are now suggesting as an alternative explanation is that the adiabatic temperature gradient is related to a planetary circulation driven by heat supplied unevenly to the upper levels of the atmosphere. According to this theory, the high ground temperature is caused, at least in part, by compressional heating of the descending air. In the specific case of the real Venus (rather than our thought experiments), much more has been uncovered since Goody and Walker wrote. Perhaps the question of what happens in the real Venus is clearer – one way or the other. I’m glad I’ve taken the time to think about the subject because I feel like I understand it much better as a result of this discussion. I appreciate Leonard especially for taking the time, but also Arthur Smith and others. Before we started discussing I knew the answers for certain. Now I’m not so sure. First on the question of convective heat flow from heating above, which scienceofdoom just ended with: I agree some such heat flow is possible, but it is difficult. Goody and Walker were wrong if they felt this could explain high Venusian surface temperatures. The foundation for my certainty on this lies in the fundamental laws of thermodynamics, which I’ll start by reviewing in the context of the general problem of heat flow in planetary atmospheres (and the “Very Tall Room Full of Gas”). Note that these laws are very general and based in the properties of energy and the statistics of large numbers of particles, and have been found applicable in systems ranging from the interior of stars to chemical solutions and semiconductor devices and the like. External forces like gravitational fields are a routine factor in thermodynamic problems, as are complex intermolecular forces that pose a much thornier challenge. The laws of thermodynamics are among the most fundamental laws in physics – perhaps even more fundamental than gravitation itself. I’m going to discuss the laws out of order, since they are of various degrees of relevance to the discussion we’ve had. The third law (defining behavior at zero temperature) is not relevant at all and won’t be discussed further. This means that in any isolated system the total energy embodied in the particles, their motion, their interactions, etc. must remain constant. Over time such an isolated system approaches a state of thermodynamic equilibrium where the measurable, statistically averaged properties cease changing. In our previous discussion I interpreted Leonard’s “Very Tall Room Full of Gas” example as such a completely isolated system, with no energy entering or leaving. Therefore it should, eventually at least, approach such a state of thermodynamic equilibrium. Scienceofdoom above interpreted it as being in a condition where the top of the room was held at a given specific temperature. That condition would allow energy to enter and leave over time, but eventually the statistical properties would also stop changing, and then energy flow through that top surface would also cease, total energy would be constant, and you would again arrive at an equilibrium system (but with a different total energy from the starting point). That would also be the case in Leonard’s original thought experiment concerning Venus if the temperature of the “totally opaque enclosure” was a uniform constant value. The underlying system would reach some point where its properties ceased changing, and then with no energy flow in or out, it would be effectively isolated from the rest of the universe, and in its own thermodynamic equilibrium. However, Leonard allows the temperature of his opaque enclosure to vary with latitude and time of day which means that strictly such a statistical constancy would not apply and the underlying atmosphere would not be completely in thermodynamic equilibrium. I’ll look at that later in discussing the restrictions imposed by the second law. In a system like a planetary atmosphere with energy flowing through it from a nearby star (or from internal heat) and escaping into the rest of the universe, you are obviously not isolated and would not reach thermodynamic equilibrium. Rather, if a condition where averaged properties cease changing is reached, this is referred to as a steady state. Under steady state conditions the first law must still be obeyed. Since internal statistical properties are unchanging, that means the system must not be gaining or losing any internal energy. 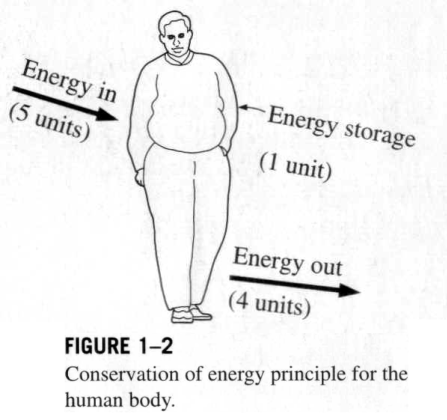 So in steady state you have a balance between incoming and outgoing energy from the system, enforced by the first law of thermodynamics. If such an atmospheric system is NOT in steady state, if there is, say, more energy coming in than leaving, then the total energy embodied in the particles of the system will increase. That higher average energy per particle can be measured as an increase in temperature – but that gets us to the definition of temperature. If two thermodynamic systems are each in thermal equilibrium with a third, then they are in thermal equilibrium with each other. Here thermal equilibrium means that when the systems are brought into physical proximity so that they may exchange heat, no heat is actually exchanged. A typical example of the zeroth law is to make the “third system” a thermometer, something that you can use to read out a measurement of its internal energy level. Any number of systems can act as a thermometer: the volume of mercury liquid in an evacuated bulb, the resistance of a strip of platinum, or the pressure of a fixed volume of helium gas, for example. If you divide a system “A” in thermodynamic equilibrium into two pieces, “A1” and “A2”, and then bring those two into physical proximity again, no heat should flow between them, because no heat was flowing between them before separating them since neither one’s statistical properties were changing. I.e. 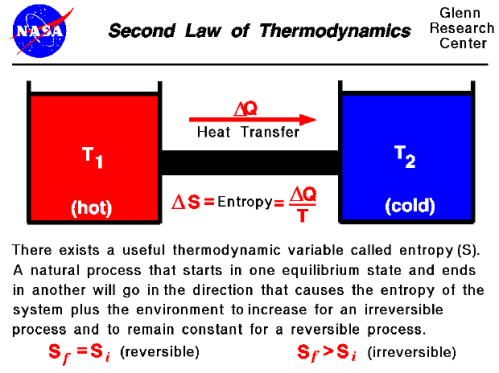 Any two subsystems of a system in thermodynamic equilibrium must be in thermal equilibrium with each other. That means that if you place a thermometer to measure the temperature of subsystem “A1”, and find a temperature “T” for thermal equilibrium of the thermometer with “A1”, then subsytem “A2” will also be in thermal equilibrium with “T”, i.e. its temperature will also read out as the same value. That is, the temperature of a system in thermodynamic equilibrium is the same as the temperature of every (macroscopic) subsystem – temperature is constant throughout. 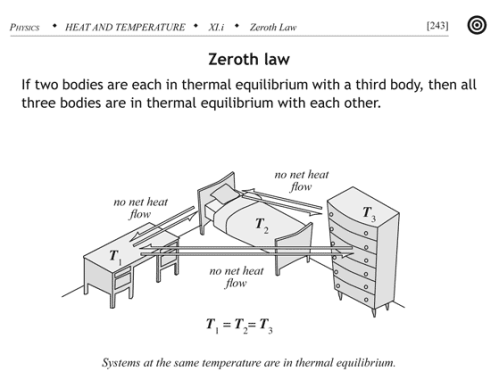 The zeroth law implies temperature must be a uniform property of such equilibrium systems. This means that in both “Very Large Room” examples and for my version of Leonard’s original thought experiment for Venus (with a uniform enclosing temperature), the thermodynamic equilibrium that the atmosphere must eventually reach must have a constant and uniform temperature throughout the system. Temperature in the room or in the pseudo-Venus’ atmosphere would be independent of altitude – an isothermal, not adiabatic, temperature profile. Thus, if a system is in a state of thermodynamic equilibrium, the [absolute temperature] is the same for every part of it, i.e. is constant throughout the system. A planetary atmosphere is not driven by machines that move the air around, there are no giant fans pushing the air from one place to another. There is no incoming chemical or electrical form of non-thermal energy that can force things to happen. The driving force is the flux of incoming energy from the local star that brings heat when it is absorbed. All atmospheric processes are driven by the resulting temperature differences. Thanks to the first law of thermodynamics each incoming chunk of energy can be accounted for as it is successively absorbed, reflected, re-emitted and so forth until it finally leaves again as thermal radiation to the rest of the universe. In each of these steps the energy is spontaneously exchanged from a portion of the atmosphere at one temperature to another portion at another temperature. What the second law tells us, particularly in the above Clausius form, is that the net spontaneous energy exchange describing the flow of each chunk of incoming energy to the atmosphere MUST ALWAYS BE IN THE DIRECTION OF DECREASING TEMPERATURE. Heat flows “downhill” from high to low temperature regions. The incoming energy starts from the star – very high temperature. If it’s absorbed it’s somewhere in the atmosphere or the planetary surface, and from that point it must go through successfully colder and colder portions of the system before it can escape to space (where the temperature is 2.7 K). There can be no net flow of energy from colder to hotter regions. And that means, if the atmosphere below Leonard’s “opaque enclosure” is at a higher temperature than any point on the enclosure, heat must be flowing out of the atmosphere, not inward. The enclosure, no matter the distribution of temperatures on its surface, cannot drive a temperature below it that is any higher than the highest temperature on the enclosure itself. So even in the non-equilibrium case represented by Leonard’s original thought experiment, while the atmosphere’s temperature will not be everywhere the same, it will nowhere be any hotter than the highest temperature of the enclosure, after sufficient time has passed for such statistical properties to stop changing. The thermodynamic laws are the fundamental governing laws regarding temperature, heat, and energy in the universe. It would be extraordinary if they were violated in such simple systems as these gases under gravitation that we have been discussing. Note in particular that any violation of the second law of thermodynamics allows for the creation of a “perpetual motion machine”, a device legions of amateurs have attempted to create with nothing but failure to show for it. Both the first and second laws seem to be very strictly enforced in our universe. The above results on temperatures apply under equilibrium or steady state conditions, i.e. after the “measurable, statistically averaged properties cease changing.” That may perhaps take a long time – how long should we expect? The heat content of a gas is given by the product of the heat capacity and temperature. For the Venus case we’re starting at 740 K near the surface and, under either of the “thought experiment” cases, dropping to something like 240 K in the end, about 500 degrees. Surface pressure on Venus is 93 Earth atmospheres, so in every square meter we have a mass of close to 1 million kg of atmosphere above it. [Quick calculation: 1 earth atmosphere = 101 kPa, or 10,300 kg of atmosphere per square meter, or 15 pounds per square inch. On Venus it’s 1400 pounds/sq inch.] The atmosphere of Venus is almost entirely carbon dioxide, which has a heat capacity of close to 1 kJ/kgK (see this reference). That means the heat capacity of the column of Venus’ atmosphere over 1 square meter is about one billion (109) J/K. So a temperature change of 500 K amounts to 500 billion joules = 500 GJ for each square meter of the planetary surface. This is the energy we need to flow out of the system in order for it to move from present conditions to the isothermal conditions that would eventually apply under Leonard’s thought experiment. 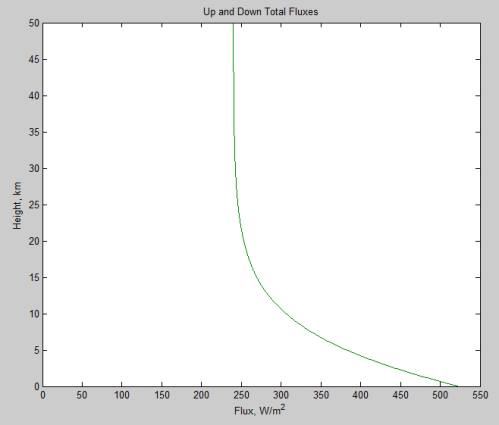 Now from scienceofdoom’s previous post we expect at least an initial heat flow rate out of the atmosphere of 158 W/m² (that’s the outgoing flow that balances incoming absorption on Venus – since we’ve lost incoming absorption to the opaque shell, this ought to be roughly the initial net flow rate). Dividing this into 500 GJ/m² gives a first-cut time estimate for the cooling: 3.2 billion seconds, or about 100 years. So the cool-down to isothermal would be hardly immediate, but still pretty short on the scale of planetary change. Now we shouldn’t expect that 158 W/m² to hold forever. There are four primary mechanisms for heat flow in a planetary atmosphere: conduction (the diffusion of heat through molecular movements), convection (movement of larger parcels of air), latent heat flow (movement of materials within air parcels that change phases – from liquid to gas and back, for example, for water) and thermal radiation. The heat flow rate for conduction is simply proportional to the gradient in temperature. The heat flow rate for radiation is similar except for the region of the atmospheric “window” (some heat leaves directly to space according to the Planck function for that spectral region at that temperature). Latent heat flow is not a factor in Venus’ present atmosphere, though it would come into play if the lower atmosphere cooled below the point where CO2 liquefies at those pressures. For convection, however, average heat flow rates are a much more complex function of the temperature gradient. Getting parcels of gas to displace one another requires some sort of cycle where some areas go up and some down, a breaking of the planet’s symmetry. 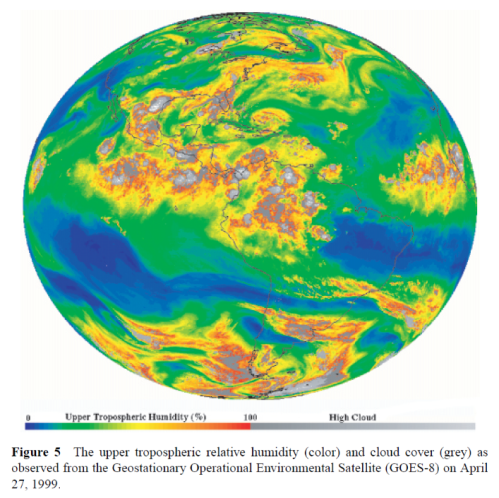 On Earth the large-scale convective flows are described by the Hadley cells in the tropics and other large-scale cells at higher latitudes, which circulate air from sea level to many kilometers in altitude. On a smaller scale, where the ground becomes particularly warm then temperature gradients exceeding the adiabatic lapse rate may occur, resulting in “thermals”, local convective cells up to possibly several hundred meters. If the temperature difference between high and low altitudes is too low, the convective instability vanishes and heat flow through convection becomes much weaker. So as temperatures come closer to isothermal in an atmosphere like Venus’, except for the atmospheric “window” for radiative heat flow, we would expect all the heat flow mechanisms to decrease, and convection in particular to almost cease after the temperature difference gets too small. So we might expect the cool-down to isothermal conditions to slow down and end up much longer than this 100-year estimate. How long? Another of the thought experiment versions discussed in the previous thread involved removing radiation altogether; with both radiation and convection gone, that leaves only conduction as a mechanism for heat flow through the atmosphere. For an ideal gas the thermal conductivity increases as the 2/3 power of the density (it’s proportional to density times mean free path) and the square root of temperature (mean particle speed). While CO2 is not really ideal at 93 atmospheres at 740 K, using this rule gives us a rough idea of what to expect – at 1 atmosphere and 273 K we have a value of 14.65 mW/(m.K) so at 93 atmospheres and 740 K it should be about 500 mW/(m . K). For a temperature gradient of 10 K/km that gives a heat flux of 0.005 W/m². 500 GJ would then take about 1014 seconds, or 3 million years. So the approach to an isothermal equilibrium state for these atmospheres would take between a few hundred and a few million years, depending on the conditions you impose on the system. Still, the planets are billions of years old, so if heating from above was really the mechanism at work on Venus we should see the evidence of it in the form of cooler surface temperatures there by now, even if radiative heat flow were not a factor at all. Leonard in our previous discussion raised the point that an individual molecule sees the gravitational field, causing it to accelerate downwards. So molecular velocities lower down should be higher than velocities higher up, and that means higher temperatures. Leonard’s picture is true of the behavior of a molecule in between collisions with the other molecules. But if the gas is reasonably dense, the “mean free path” (the average distance between collisions) becomes quite short. At 1 atmosphere and room temperature the mean free path of a typical gas is about 100 nanometers. So there’s very little distance to accelerate before a molecule would collide with another; to consider the full effect you need to look at the effect of collisions due to gas pressure along with the acceleration by gravity. e(-E/kT) = e(-(½mv² + gmz)/kT). So the Boltzmann distribution in this case specifies both the distribution of velocities (the standard Maxwell-Boltzmann distribution) and also an exponential decrease in gas density (and pressure) with height. It is very unlikely for a molecule to be at a high altitude, just as it is very unlikely for a molecule to have a high velocity. The high energy associated with rare high velocities comes from occasional random collisions building up that high speed. Similarly the high energy associated with high altitude comes from random collisions occassionally pushing a molecule to great heights. These statistically rare occurences are both equally captured by the Boltzmann distribution. Note also that since the temperature is uniform in equilibrium, the distribution of velocities at any given altitude is that same Maxwell-Boltzmann distribution at that temperature. The decrease in pressure with height produces a pressure-gradient force that acts on “parcels of gas” in the same way that the gravitational force does, but in the opposite direction. At equilibrium or steady-state, when statistical properties of the gas cease changing, the two forces must balance. I.e. the Boltzmann distribution for this ideal gas system automatically ensures the system is in hydrostatic equilibrium. Another approach to this sort of analysis is to look at the detailed flow of molecules near an imaginary boundary. This is done in textbook calculations of the thermal conductivity of an ideal gas, for example, where a gradient in temperature results in net flow of energy (necessarily from hotter to colder). In our system with gravitational force and pressure gradients both must be taken into account in such a calculation. Such calculations are somewhat complex and depend on assumptions about molecular size and neglecting other interactions that would make the gas non-ideal, but the net effect must always satisfy the same thermodynamic laws as every other such system: in thermodynamic equilibrium temperature is uniform and there is no net energy flow through any imagined boundary. In conclusion, after sufficient time that statistical properties cease changing, all these examples of a system with a Venus-like atmosphere must reach essentially the same isothermal or near-isothermal state. The gravitational field and adiabatic lapse rate cannot explain the high surface temperature on Venus if incoming solar radiation does not reach (at least very close to) the surface. The basic heating mechanism for any planetary atmosphere depends on the balance and distribution of absorbed solar energy and outgoing radiated thermal energy. For a planet like Earth, the presence of a large amount of surface water and a relatively optically transparent atmosphere to sunlight dominates where and how the input solar energy and outgoing thermal energy create the surface and atmospheric temperatures. 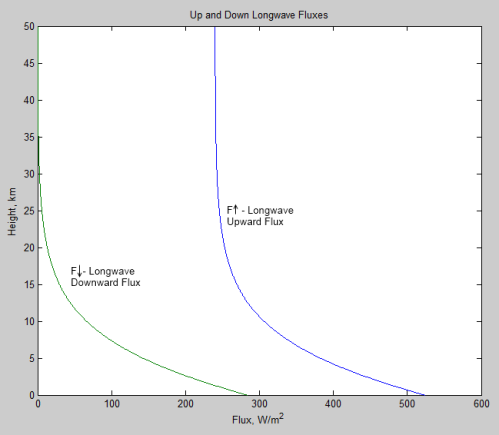 The unequal energy flux for day and night, and for different latitudes, combined with the planet rotation result in wind and ocean currents that move the energy around. The majority of solar energy absorbed by the Earth directly heats the land and water. Some water evaporation carries this energy to higher altitudes, and is released by phase change (condensation). This energy is carried up by atmospheric convection. In addition, convective heat transfer from the ground and oceans transfers energy to the atmosphere. It is the basic atmospheric temperature differences from day and night and at different latitude that creates pressure differences that drive the wind patterns that eventually mix and transport the atmosphere, but the buoyancy of heated air from the higher temperature surface areas also aids in the vertical mixing. This energy is carried by convection up into the higher levels of the atmosphere and eventually radiates to space. The combination of convection of water vapor and surface heated air upwards dominates the total transported energy from the ground level. In addition, some of the ground level thermal energy is radiated up, with a portion of the thermal radiation passing directly from the ground to space. Water vapor, CO2, clouds, aerosols, and other greenhouse gases also absorb some of this radiated energy, and slightly increase the lower atmosphere and ground temperatures with back radiation effectively adding to the initial radiation, resulting in a reduced net radiation flux. This results in a higher temperature atmosphere and ground than without these absorbing materials. Venus, however, is dominated by direct absorption of solar energy into the atmosphere (including clouds) rather than by the surface, so has a significantly different path to heat the atmosphere and ground. Venus has a very dense atmosphere (about 93 times the mass as Earth’s atmosphere), which extends to about 90 km altitude before the tropopause is reached. This is much higher than the Earth’s atmosphere. Very dense clouds, composed mostly of sulfuric acid, reach to about 75 km, and cover the planet. The clouds have virga beneath them due to the very high temperatures at lower elevations. The clouds and thick haze occupy over half of the main troposphere height, with a fairly clear layer starting below about 30 km altitude. Due to the very high density of the atmosphere, dust and other aerosol particles (from the surface winds and possibly from volcanoes) also persist in significant quantity. The atmosphere is 96.5% CO2, and contains significant quantities of SO2 (150 ppm), and even some H2O (20 ppm), and CO (17 ppm). These, along with the sulfuric acid clouds, dust, and other aerosols, absorb most of the incoming sunlight that is not reflected away, and also absorb essentially all of the outgoing long wave radiation and relay it to the upper atmosphere and clouds to eventually dump it into space. 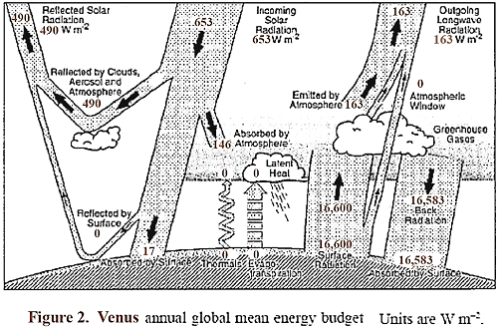 A sketch is shown in Figure 2, similar to the one used for Earth, which shows the approximate energy transfer in and out of the Venus atmosphere system. It is likely that almost all of the radiation out leaves from the top of the clouds and a short distance above, which therefore locks in the level of the atmospheric temperature at that location. The surface radiation balance shown is my guess of a reasonable level. The top portion of the clouds reflects about 75% of incident sunlight, so that Venus absorbs an average of about 163 W/m², which is significantly less than the amount absorbed by Earth. About 50% of the available sunlight is absorbed in the upper cloud layer, and about 40% of the available sunlight is captured on the way down in the lower clouds, gases, and aerosols. Thus an average of solar energy that reaches the surface is only about 17 W/m², and the amount absorbed is somewhat less, since some is reflected. The question naturally arises as to what is the source of wind, weather, and temperature distribution on Venus, and why is Venus so hot at lower altitudes. Venus takes 243 days to rotate. However, continual high winds in the upper atmosphere takes only about 4 days to go completely around at the equator, so the day/night temperature variation is even less than it would have otherwise been. Other circulation cells for different latitudes (Hadley cells) and some unique polar collar circulation patterns complete the main convective wind patterns. The solar energy absorbed by the surface is a far smaller factor than for Earth, and I am convinced it is not necessary for the basic atmospheric and ground temperature conditions on Venus. Since the effect on the atmospheres of planets from absorbed solar radiation is to locally change the atmospheric pressure that drive the winds (and ocean currents if applicable), these flow currents transport energy from one location and altitude to another. There is no specific reason the absorption and release of energy has to be from the ground to the atmosphere unless the vertical mixing from buoyancy is critical. I contend that direct absorption of solar energy into the atmosphere can accomplish the mixing, and this along with the fact that the top of the clouds and a short distance above is where the radiation leaves from, is in fact the cause of heating for Venus. We observed that unlike Earth, which had about 72% of the absorbed solar energy heat the surface, Venus has 10% or less absorbed by the ground. Also the surface temperature of Venus (about 735 K) would result in a radiation level from the ground of about 16,600 W/m². 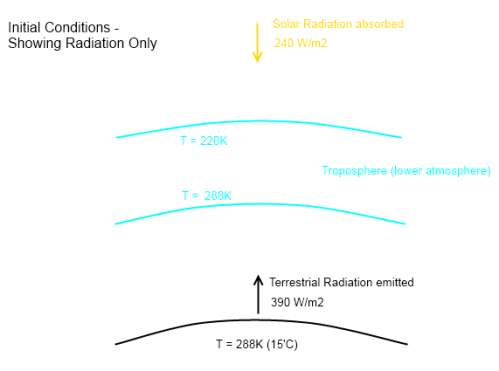 Since back radiation can’t exceed radiation up if the ground is as warm or warmer than the atmosphere above it, the only thing that can make the ground any warmer than the atmosphere above it is the ~17 W/m² (average) from solar radiation. The ground absorbed solar radiation plus absorbed back radiation has to equal the radiation out for constant temperature. If the absorbed solar radiation were all used to heat the ground, and the net radiation heat transfer was near zero (the most extreme case of greenhouse gas blocking possible), the average temperature of the ground would only be about 0.19 K warmer than the atmosphere above it, and the excess heat would need to be removed by surface convective driven heat transfer. The buoyancy would be extremely small, and contribute little to atmospheric mixing. However, the net radiation heat transfer out of the ground is almost surely equal to or larger than the average solar heating at the ground, from some limited transmission windows in the gas, and through a small net radiation flux. The most likely effect is that the ground is equal to or a small amount cooler than the lower atmosphere, and there is probably no buoyancy driven mixing. This condition would actually require some convective driven heat transfer from the atmosphere to the ground to maintain the ground temperature. Since the measured lower atmosphere and ground temperature are on the dry adiabatic lapse rate curve projected down from the temperature at the top of the cloud layer, the net ground radiation flux is probably close to the value of 17 W/m². This indicates that direct solar heating of the ground is almost certainly not a source for producing the winds and temperature found on Venus. The question still remains: what does cause the winds and high temperatures found on Venus? The main point I am trying to make in this discussion is that the introduction of solar energy into the relatively cool upper atmosphere of Venus, along with the high altitude location of outgoing radiation, are sufficient to heat the lower atmosphere and surface to a much higher temperature even if no solar energy directly reaches the surface. Two simplified models are discussed in the following sections to support the plausibility of that claim. This issue is important because it relates to the mechanism causing greenhouse gas atmospheric warming, and the effect of changing amounts of the greenhouse gases. The first model is an enclosed room on Venus that is 1 km x 1km x 100 km tall. This was selected to point out how adiabatic compression can cause a high temperature at the bottom of the room, with a far lower input temperature at the top. This is the type of effect that dominates the heating on Venus. While the first part of the discussion is centered on that room model, the analysis is also applicable for part the second model, which examines a special simplified approximation of the full dynamics on Venus. 1)	A gas is introduced at the top of a perfectly thermally insulated fully enclosed room 1 km x 1 km x 100 km tall, located on the surface of Venus. The walls (and bottom and top) are assumed to have negligible heat capacity. The walls and bottom and top are also assumed to be perfect mirrors, so they do not absorb or emit radiation. 2)	The supply gas temperature is selected to be 250 K. The gas pours in to fill all of the volume of the room. Sufficient quantity of gas is introduced so that the final pressure at the top of the room is at 0.1 bar at the end of inflow. The entry hole is sealed immediately after introduction of the gas is complete. 3)	The gas is a single atom molecule gas such as Argon, so that it does not absorb or emit thermal radiation. This made the problem radiation independent. I also put in a qualifier, to more nearly approximate the actual atmosphere, that the gas had a Cp like that of CO2 at the surface temperature of Venus [i.e., Cp=1.14 (kJ/kg K) for CO2 at 735 K]. Cp is also temperature independent. Where H is distance down from the top. Ttop remains at 250 K since it is not compressed (not because it was forced to be at that temperature by heat transfer), and Tbottom=1,031 K due to the adiabatic compression. 1)	Is this dry adiabatic lapse rate what would actually develop initially after all the gas is introduced? 2)	What would happen when the system comes to final equilibrium (however long it takes)? The gas coming in would initially spread down to the bottom due to a combination of thermal motion and gravity, but the converted potential energy due to gravity over the room height would add considerable downward velocity, and this added downward velocity would convert to thermal velocity by collisions. Once enough gas filled the room to limit the MFP, added gas would tend to stay near the top until additional gas piled on top pushed it downwards, and this would increasingly compress the gas below from its added mass. The adiabatic compression of gas below the incoming gas at the top would heat the gas at the bottom to 1,031 K for the selected model. 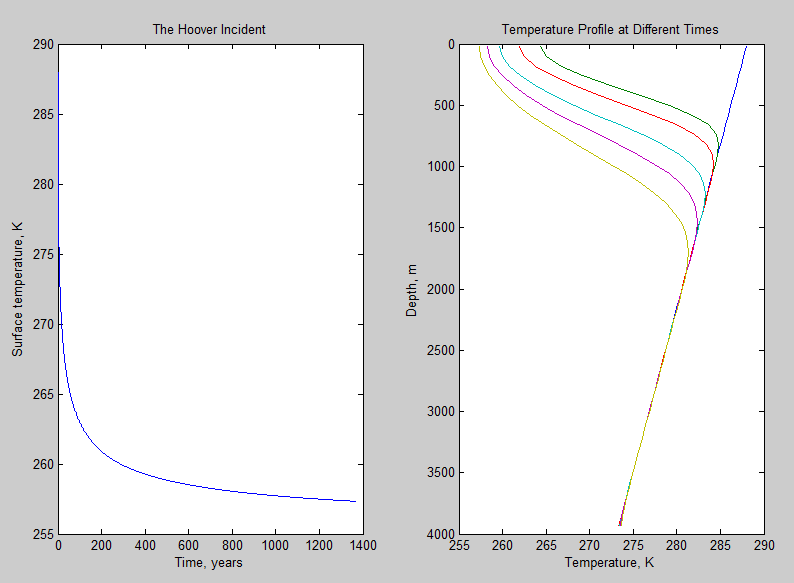 The top temperature would remain at 250 K, and the temperature profile would vary as shown by equation (2). Thus the answer to 1) is yes. This term in (3) is general, and thus valid for Venus, if the appropriate pressures are used. “When the environmental lapse rate is exactly dry adiabatic, there is zero variation of potential temperature with height and we say that the atmosphere is in neutral equilibrium. Under these conditions, a parcel of air forced upwards (downwards) will stay where it is once moved, and not tend to sink or rise after released because it will have cooled (warmed) at exactly the same rate as the environment”. The above material supports the claim that there would be no movement from a dry adiabatic lapse rate toward an isothermal gas in the room model. If the initial condition was imposed– that the lapse rate was below the dry adiabatic lapse rate, it is true that the gas would be very stable from convective mixing due to buoyancy, and the very slow thermal conduction, which would drive the temperature back toward the dry adiabatic lapse rate, could take a very long time (in the actual case, it would be much faster due to even small natural convection currents generally present). However, there is no reason for any lapse rate other than the dry adiabatic lapse rate to initially form, as the problem was posed, so that issue is not even relevant. The final result of the room model is the fact that a very high ground temperature was produced from a relative cool supply gas due to adiabatic compression of the supply that was introduced at a high altitude. This is actually a consequence of gravitational potential energy being converted to kinetic energy. Once the dry adiabatic lapse rate formed, any small flow up or down stays in temperature equilibrium at all heights, so this is a totally stable situation, and would not tend toward an isothermal situation. If there were present a sufficient quantity of gas in the present defined room that radiated and absorbed in the temperature range of the model, the temperature would tend toward isothermal, but that was not how the tall room example was defined. The second model I discussed with Science of Doom, Arthur, and others, relates to my suggestion that if an optical barrier prevented any solar energy from transmitting to the ground, but that the energy was absorbed in and heated a thin layer just below the average location of effective outgoing radiation from Venus, in such a way that the heat was transmitted downward through the atmosphere, this could also result in the hot lower atmosphere and surface that is actually observed. The albedo, and the solar heating input due to day and night, and to different latitudes, was selected to match the actual values for Venus, and the radiation out was also selected to match the values for the actual planet. This problem is much more complicated than the enclosed room case for two reasons. The first is that it is a dynamic and non-uniform case. The second is due to the fact that the actual atmosphere is used, with radiation absorption and emission, and the presence of clouds. The lower atmosphere and surface of the planet Venus are much hotter than for the Earth, even though the planet does not absorb as much solar energy as the Earth. It is closer to the Sun than Earth, but has a much higher albedo due to a high dense cloud layer composed mostly of sulfuric acid drops. The discussion will not attempt to examine the historical circumstances that led up to the present conditions on Venus, but only look at the effect of the actual present conditions. In order to examine this model, I had postulated that if all of the solar heating was absorbed near the top of Venus’s atmosphere, but with the day and night and latitude variation, the heat transfer to the atmosphere downward would eventually be mixed through the atmosphere and maintain the adiabatic lapse rate, with the upper atmosphere held to the same temperature as at the present. Since the atmosphere has gases, clouds, and aerosols that absorb and radiate most if not all of the thermal radiation, this is a different problem from the tall room. However, it appears that the radiation flux levels are relatively small, especially at lower levels, so the issue hinges on the relative amount of forcing by convective flow compared to net radiation up (which does tend to reduce the lapse rate). I use the actual temperature profile as a starting point to see if the model is able to maintain the values. Different starting profiles would complicate the discussion, but if the selected initial profile can be maintained, it is likely all reasonable initial profiles would tend to the same long-term final levels. The assumption that the solar heating and radiation out all occur in a layer at the top of the atmosphere eliminates positive buoyancy as a mechanism to initially couple the solar energy to the atmosphere. However, the direct thermal heat-transfer with different amounts of heating and cooling at different locations causes some local expansion and contraction of different locations of the top of the atmosphere, and this causes some pressure driven convection to form. The pressure differences from expansion and contraction set a flow in motion that greatly increases surface heat transfer, and this flow would become turbulent at reasonable induced flow speeds. This increases heat transfer and mixing to larger depths. The portions cooler than the local average atmosphere will be denser than local adiabatic lapse rate values from the average atmosphere, and thus negative buoyancy would cause downward flow at these locations. As the flow moved downward, it compressed but initially remains slightly cooler than the surrounding, with some mixing and diffusion spreading the cooling to ever-larger volumes. At some level, the flow down actually passes into a surrounding volume that is slightly cooler, rather than warmer, than the flow, due to the small but finite radiation flux removing energy from the surrounding. At this point the downward flow stream is warming the surrounding. The question arises: how much energy is carried by the convection, and could it easily replace radiated energy, so as to maintain a level near the dry adiabatic lapse rate? A few numbers need to be shown here to best get an order of magnitude of what is going on. Arthur has already made some of these calculations. The average input energy of 158 W/m² applied to Venus’s atmosphere would take about 100 years to change the average atmospheric temperature by 500 K. This means that to change it even 0.1 K (on average) would take about 7 days. Since the upper atmosphere at low latitudes only takes about 4 days to completely circulate around Venus, the temperature variations from average values would be fairly small if the entire atmosphere were mixed. However, for the model proposed, only a very thin layer would be heated and cooled under the absorbing layer. Differences in net radiation flux would also help transfer energy up and down some. This relatively thin layer would thus have much higher temperature variation than the average atmosphere mass would (but still only a few degrees). The pressure variations due to the upper level temperature variations would cause some flow circulation and vertical mixing to occur throughout the atmosphere. The circulating flows may or may not carry enough energy to overcome radiation flux levels to maintain the dry adiabatic lapse rate. Let us look at the near surface flow, and a level of radiation flux of 17 W/m². What excess temperature and vertical convection speed is needed to carry energy able to balance that flux level. Assume a temperature excess of only 0.026 K is carried and mixed by convection due to atmospheric circulation. Also assume the local horizontal flow rate near the ground is 1 m/s. If a vertical mixing of only 0.01 m/s were available, the heat added would be 17 W/m², and this would balance the lost energy due to radiation, thus allowing the dry adiabatic lapse rate to be maintained. This shows how little convective circulation and mixing are needed to carry solar heated atmosphere from high altitudes to lower levels to replace energy lost by radiation flux levels in the atmosphere, and maintain a near dry adiabatic lapse rate. It is the solar radiation that is supplying the input energy, and adiabatic compression that is heating the atmosphere. As long as the lapse rate is held close to the adiabatic level with sufficient convective mixing, it is the temperature at the location in the atmosphere where the effective outgoing radiation is located that sets a temperature on the adiabatic lapse rate curve and adiabatic compression determines the lower atmosphere temperature. Since the exact details of the heat exchanges are critical to the process, this optically sealed region near the top of the atmosphere is a poorly defined model as it stands, and the question of whether it actually would work as Arthur and Science of Doom question is not resolved, although an argument can be made that there are processes to do the mixing. However, the real atmosphere of Venus absorbs almost all of the solar energy in its upper half, and this much larger initial absorption volume does clearly do the job. I have shown the ground likely has little if any effect on the actual temperature on Venus. The initial cause for this discussion was the question of why the surface of Venus is as hot as it is. A write-up by Steve Goddard implied that the high pressure on Venus was a major factor, and even though some greenhouse gas was needed to trap thermal energy, it was the pressure that was the major contributor. The point was that an adiabatic lapse rate would be present with or without a greenhouse gas, and the major effect of the greenhouse gas was to move the location of outgoing radiation to a high altitude. The outgoing level set a temperature at that altitude, and the ground temperature was just the temperature at the outgoing radiation effective level plus the increase due to adiabatic compression to the ground. The altitude where the effective outgoing radiation occurs is a function of amount and type of greenhouse gases. Steve’s statement is almost valid. If he qualified it to state that enough greenhouse gas is still needed to limit the radiation flux, and keep the outgoing radiation altitude near the top of the atmosphere, he would have been correct. Thus both the amount of atmosphere (and thus pressure and thickness), and amount of greenhouse gases are factors. Any statement that greenhouse gases are not needed if the pressure is high enough is wrong (but this was not what Steve Goddard said). Another issue that came up was the need for the solar energy to heat the ground in order for the hot surface of Venus to occur. I think I made reasonable arguments that this is not at all true. While there is a small amount of solar heating of the ground, the ground is probably actually slightly cooler that the atmosphere directly above it due to radiation, and so there is no buoyant mixing and no heating of the atmosphere from the ground other than the small radiated contribution. The main part of solar energy is absorbed directly into the atmosphere and clouds, and is almost certainly the driver for winds and mixing, and the high ground temperature. 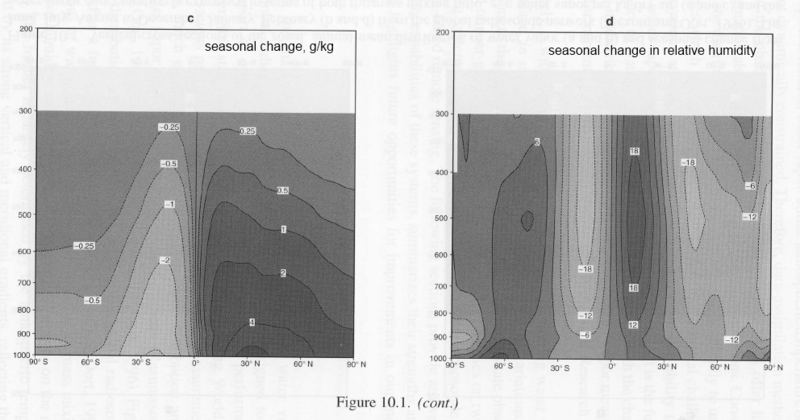 1)	The adiabatic lapse rate would greatly increase due to the much lower Cp of Argon. 2)	The height of the outgoing radiation would probably decrease, but likely not much due to both the presence of the clouds, and the fact that the density is not linear with altitude, and matching a height with remaining high CO2 level would only drop 10 to 15 km out of the 75 to 80, where outgoing radiation is presently from. If in fact it is the clouds that cause most of the outgoing radiation, there may not be any drop in outgoing level. 3)	The radiation flux through the atmosphere would increase, but probably not nearly enough to prevent the atmospheric mixing from maintaining an adiabatic lapse rate. Keep in mind that Venus has 230,000 times the CO2 as Earth. Even 10% of this is 23,000 times the Earth value. The combination of these factors, especially 1), would probably result in an increase in the ground temperature on Venus. Many commenters have expressed the opinion that the net radiation at the earth’s surface is quite small and therefore radiation doesn’t play a big part in establishing the temperature of the lower atmosphere. The lower atmosphere, for reference, is usually known as the troposphere. As a digression, this approach to estimating the energy balance at the top of atmosphere and the surface isn’t something new. There is probably a 100 year history of different investigators trying to calculate these values..
Let’s take a look at this diagram of global annual average estimates. What is the surface energy “budget”? The balance of energy from the surface (102 W/m²) is moved by convection and latent heat. As a different perspective, some people look at the problem as the balance of longwave radiation – in which case the surface radiates 390 W/m² (as before) and receives atmospheric radiation (aka “back radiation” or DLR) of 324 W/m². From this perspective net longwave radiation is 66 W/m². What does this mean? If the net value is low does that mean that radiation is unimportant? As we often do on this blog, we will consider an unreal world in an attempt to explain something otherwise hidden..
Let’s suppose that our atmosphere didn’t support convection/conduction from the surface and the lower atmosphere didn’t have any convection at all. Therefore, the only mechanism for heat transfer is radiation. What would this world be like? 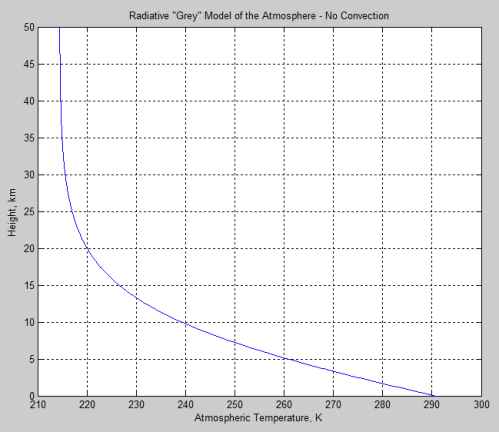 It would be challenging to do the full calculations of radiative transfer considering tens of thousands of absorption lines, but a handy approximation is the grey atmospheric model. In this model the atmosphere absorbs uniformly across all long wavelengths (and is transparent to solar radiation). The grey atmosphere makes the maths a lot simpler, and, as usual the maths is saved for a section at the end for those interested. You can see the equations of radiative transfer in CO2 – An Insignificant Trace Gas? Part Three. In essence, the proportion of radiation absorbed in a small section of the atmosphere is proportional to the density of the “radiative absorbers” in the atmosphere. It’s not particularly important for this analysis but the temperature of the ground would be higher than the temperature in the atmosphere just above the ground. In a world with convection and conduction this couldn’t happen, but in a world with only radiation to exchange heat between the surface and atmosphere it would. By convention, optical depth, χ, is measured from the top of the atmosphere and is a way of expressing the total absorption through the atmosphere. As you can see, at the top of atmosphere the downward longwave radiation is zero. That’s because there’s no atmosphere to radiate from. And also at the top of atmosphere, the upward longwave radiation = 240 W/m². This balances the solar (shortwave) radiation as the climate in this world is in overall equilibrium. 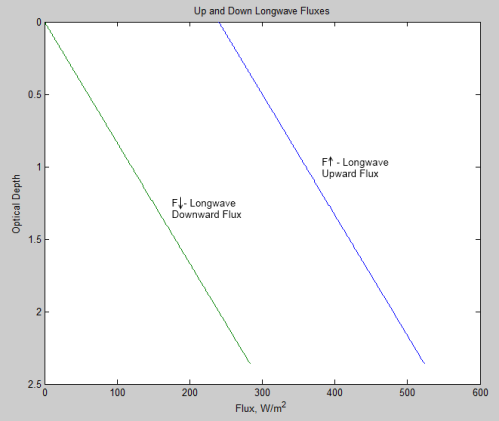 At each height the total up and down fluxes are balanced. The net radiation at each height is zero. So clearly in this unusual world radiation has no effect.. Except that without the absorption and emission at each height in the atmosphere the surface temperature would be a lot lower. If we increase the optical thickness of the atmosphere the surface temperature increases. And yet still net radiation is zero. Perversely, in the real world, convection acts to reduce temperatures, because it redistributes heat more effectively than radiation. As convection takes more and more heat, the net radiation at the surface becomes larger. When net radiation is zero that means radiation is doing everything. As net radiation moves away from zero, then either other heat transfer mechanisms are in place, or that part of the atmosphere/surface is heating or cooling. We want to apply the equation above for a plane parallel atmosphere. A lot of maths shows that to a good approximation I may be replaced by F (flux), and B by πB (blackbody function integrated over a hemisphere) if χ is replaced by χ* = χ.1.66. This is known as the diffusivity approximation. And considering that the change in F↑ – F↓ with height (or optical thickness) must be zero in equilibrium – otherwise that layer of the atmosphere would be heating or cooling.